Berlin (AFP) - A man who tried to attack a Paris police station last week had lived in a centre for asylum seekers in Germany, German investigators said, a finding likely to fuel criticism of Chancellor Angela Merkel's liberal stance towards war refugees. 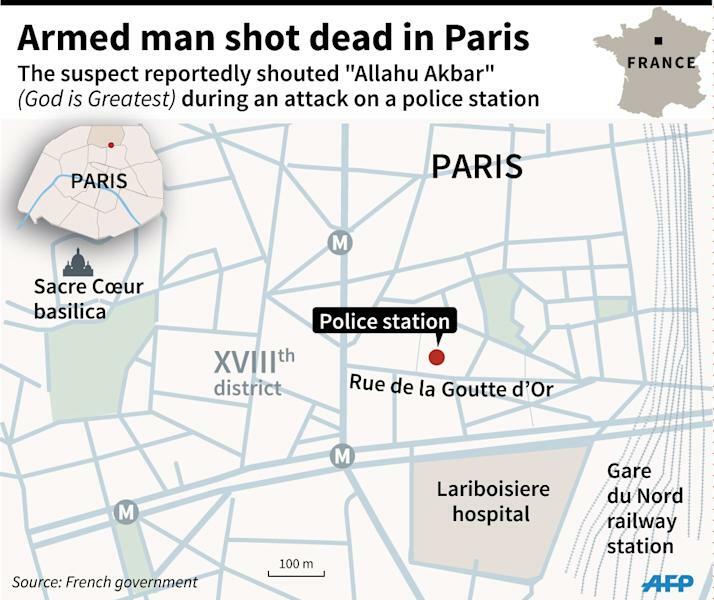 The man was shot dead by French police on Thursday after he tried to storm the police station in northern Paris, brandishing a meat cleaver and wearing a fake suicide vest. The assault took place exactly one year since the start of a series of jihadist attacks in France, beginning with the murder of 12 people at the Charlie Hebdo satirical magazine on January 7 2015. 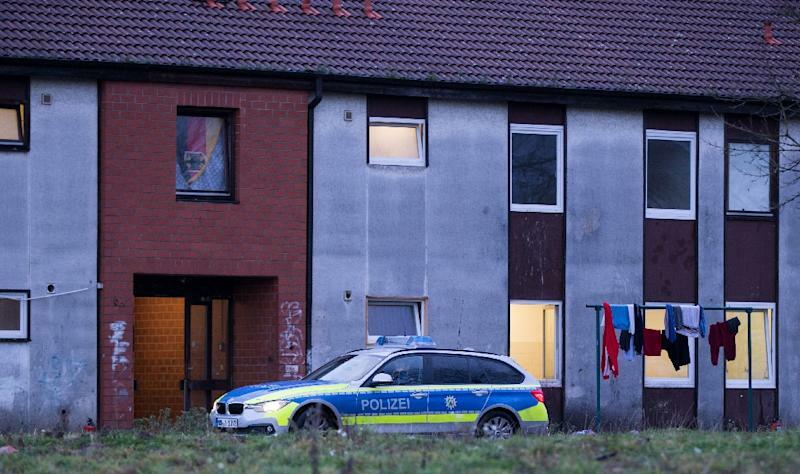 On Saturday, German investigators assisting the probe into the attempted police station attack raided an apartment at a shelter for asylum-seekers in Recklinghausen, in the west of the country. Their statement said the man had lived at the shelter but gave no further details. No other attacks appeared to have been planned, it added. A source close to the matter told AFP that the suspect had been registered as an asylum seeker. But French Interior Minister Bernard Cazeneuve cast doubt on the German claim. "I cannot confirm this, quite simply because I am not at all sure that it is correct," Cazeneuve told France's iTele, and called on the media to exercise the "greatest care" in reporting the man's identity. The news site Spiegel Online reported, meanwhile, that the man had already been classed by German police as a possible suspect after he posed at the refugee centre with an IS flag, but he disappeared in December. The head of North Rhine-Westphalia's criminal police service, Uwe Jacob said the suspect had travelled to Germany in 2013 for the first time from France, where he had lived illegally previously for five years. He had gone under seven different identities and given at least three nationalities on separate occasions - Syrian, Moroccan or Georgian, Jacob said, according to national news agency DPA. "We are not sure who he really was," said Jacob, adding that the man had already been imprisoned on several occasions for offences relating to illegal arms possession, drug trafficking and assault. Welt am Sonntag said the man had drawn a symbol of the Islamic State organisation on the shelter's wall and had filed for asylum using the name Walid Salihi. 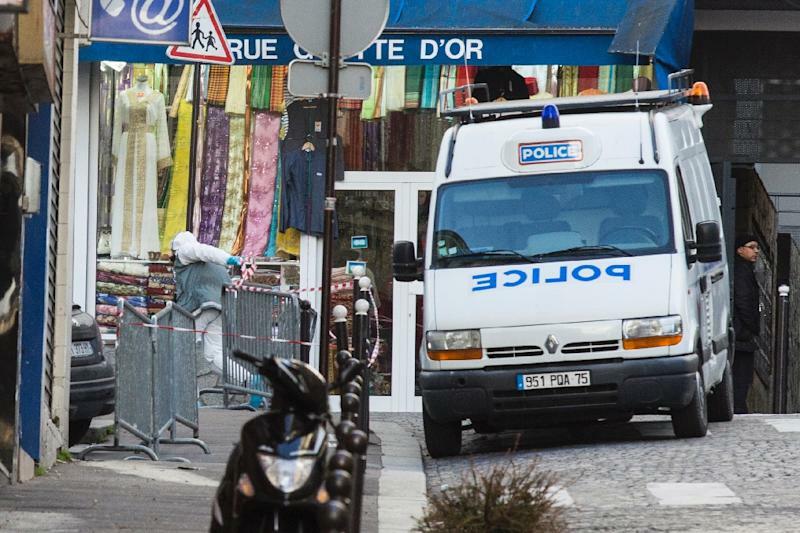 But French investigators said Friday the suspect appeared to have been identified by his family and was said to be a Tunisian named Tarek Belgacem. Paris prosecutor Francois Molins had said the man was carrying a mobile phone with a German SIM card, with French media reporting that it contained several messages in Arabic, some of which were sent from Germany. She told a Tunisian radio station that her son had rung her to ask her "to send him his birth certificate. He was in Germany." The link to the refugee shelter in Germany, and the apparent ease with which the subject was able to register with the authorities, risks further inflaming a debate over the 1.1 million asylum-seekers that the country took in last year. Mindful of the political sensitivity surrounding the issue, Recklinghausen's mayor Christoph Tesche said it remains "our humanitarian and legal duty to provide shelter for those who flee their homes". But it was also equally important to work "intensively with relevant authorities to ensure that people with such intentions cannot hide in our institutions," he stressed. Tensions were already running high after a spate of sexual assaults and thefts during New Year's Eve festivities in the western city of Cologne, with police saying suspects of the crime spree were mostly asylum seekers and migrants. Cologne police said Saturday they had recorded 379 cases of New Year violence in Cologne, as far-right protests erupted in the western city against the assaults. Hamburg police said separately that they had received 133 similar complaints allegedly committed on the same night at celebrations there. The latest link to the attacker in France risks fanning fears that would-be attackers are slipping into Europe's biggest economy amid a record refugee influx. Such concerns were already raised when it emerged that two of the suicide bombers in the November 13 attacks in Paris were carrying passports that had been registered as they arrived on a Greek island with a group of migrants in October. However, French investigators are not convinced that the two men, who blew themselves up near the Stade de France stadium, were the men in the passports.